Sadly we heard this afternoon that Zhao Siyu had passed away. We cannot imagine the pain her family are in right now and ask that you join us in praying for them. This is just so sad. The doctors were doing all the could ( and we were managing to scrape together money for her medical bills ) but she was tired and had been through so much in her short life. She is now at peace and no longer in pain. Today was the day that we were about to launch a huge appeal to help Siyu and 2 other children. Out of respect we will delay the launch for a few more days. 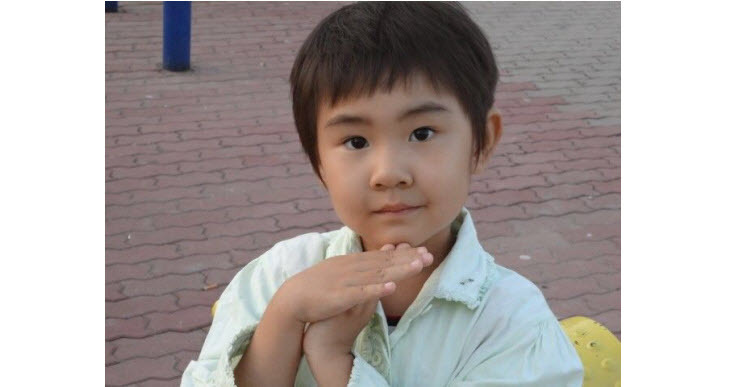 40,000 copies of the appeal literature has all been printed, so we will be adding a notice of Siyu’s passing to the paperwork before going ahead with the distribution. If however you have already received a pre-view pack then we thank you for your understanding. Just before the October holiday we were visited by an old man who had borrowed a car and driven for almost 3 hours in order to find us. The parents of another child we are helping and a doctor at the hospital had told him about Roundabout and he came to us crying and sobbing for our help. It was truly heartbreaking and Becky found it hard to keep her emotions in check while talking to him. 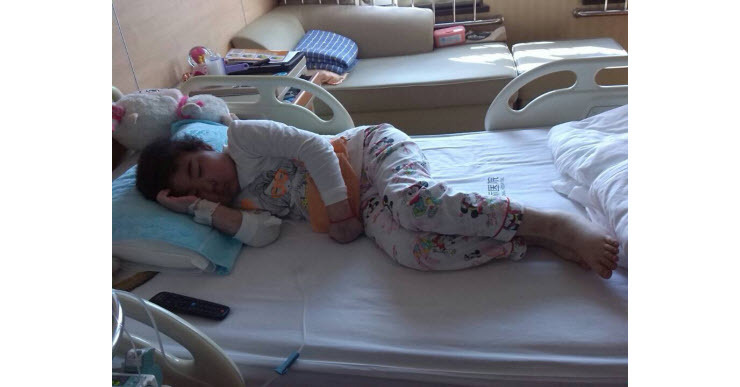 His six year old granddaughter, named Zhao Siyu, has been staying in Daopei Center of Yanjiao Hospital since January this year. 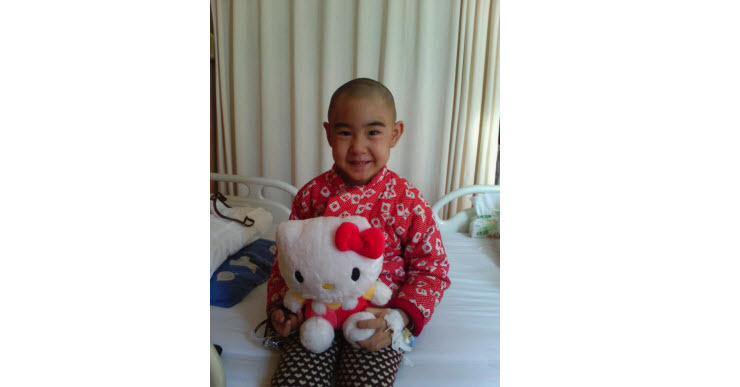 Little Siyu had been diagnosed as unable to produce enough blood on her own since she was a little bit over one year old. She has a heart problem too. 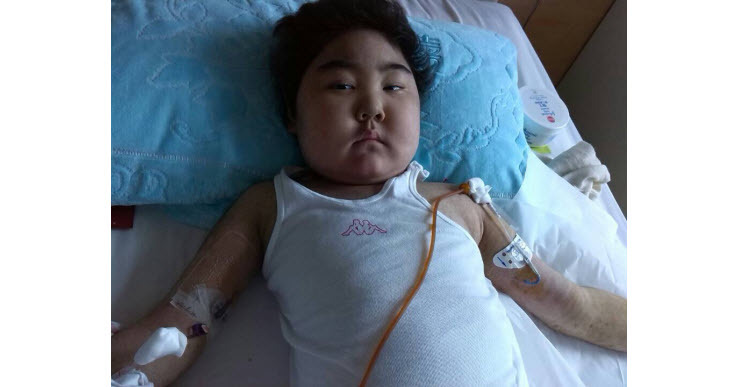 Siyu had a bone marrow transplant at Yanjiao Hospital in January with her mom as the donor, but her condition didn’t improve much. Her body had a strong incompatibility problem with the newly transplanted bone marrow. First it was her skin, then her intestines that were causing problems. She has to stay in the hospital all the time and is given strong drugs to keep her stable. As you can see from the above pictures she has gained a lot of weight due to the side affects of drugs. The huge file of hospital paperwork her grandfather brought with him, plus subsequent talks with the doctors have convinced us that this is a genuine case. 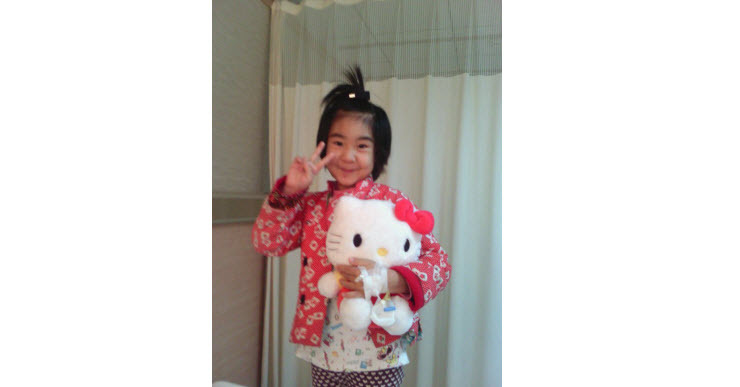 Siyu’s parents has spent close to ¥700,000 at Yanjiao Hospital alone this year. They said they simply can’t find any more money to borrow. The parents are from Tangshan. The dad works at a sea salt factory, the mom stays home to take care of their sick daughter. When the grandfather spoke to Becky he sobbed as he explained that they did not have enough money to pay for the next dose of medicine. Becky transferred the 30,000rmb needed that very night. I found this so hard to write and to upload the photos as the changes in Siyu are heartbreaking, what a sick little girl she is right now. Doctors have said that if Siyu can make it through the next few months then the worst should be over and she should start to recover. We have to keep faith and hope this will be true, but we really don’t now how we will be able to give 30,000rmb per week while also helping so many other children right now. We won’t give up though, we will do this somehow. WILL YOU HELP SIYU TOO PLEASE ? MAKING A CASH DONATION, ASKING YOUR COMPANY TO HELP, DONATING GOODS TO ROUNDABOUT AND PURCHASING ITEMS IN OUR STORE WILL ALL HELP.